They did not find the fabled continent, but they did find New Zealand. First sighted by the Dutch explorer Abel Tasman, the country was later mapped by James Cook, the British captain who dominates the story of the European discovery of New Zealand. New Zealand had already been discovered by the time Europeans first saw the Pacific. Polynesian navigators had reached New Zealand probably in the 13th century. Portuguese and Spanish navigators sailed the Pacific Ocean in the 1500s, but it was probably not until 1642 that a European sighted New Zealand. 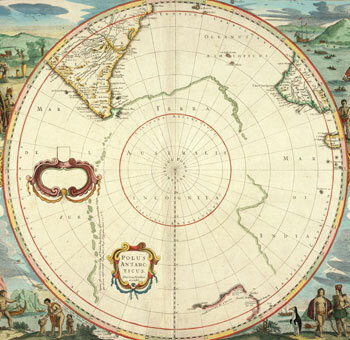 In that year the Dutch explorer Abel Tasman sailed in search of a vast southern continent, which many Europeans thought might exist in the South Pacific. Dutch merchants hoped this land would offer new opportunities for trade. Tasman first saw New Zealand on 13 December 1642, but after a bloody encounter with Māori in Golden Bay, he left without going ashore. Several other explorers, many of them French, visited New Zealand in the years after Cook’s first visit. The most important of these was Jules Sébastien César Dumont d'Urville. He sailed through the dangerous French Pass in the Marlborough Sounds and investigated the east coast of the North Island. Another French explorer who reached New Zealand was Marc Joseph Marion du Fresne. His ships anchored in the Bay of Islands in mid-1772. But Māori tribal groups in the area were at war, and the presence of the French made matters worse. Marion du Fresne and 24 others were killed. Later discoveries about New Zealand’s geography were made by the sealers, whalers and missionaries who visited during the 1800s.